Over 300 hydroelectric plants are planned or under construction in the 244 waterways in Bosnia and Herzegovina. A trend common to the entire Balkan peninsula, where in the next few years almost 3,000 new plants could become operational. In Bosnia, a country that has been the scene of important protest initiatives, the last few months have been full of events. The last days of 2018 saw the end of the struggle that gave the Balkan hydroelectric boom an international visibility: that of the hrabre žene, "the brave women" of Kruščica. The people of this village of 800 inhabitants in central Bosnia presided over a bridge for almost 18 months to prevent the construction of two hydroelectric plants. On December 14th, the Novi Travnik cantonal court ruled in favour of the Bosnian pasionarias – up to a year and a half ago, mostly quiet housewives – overturning the ending of a story that seemed to be written from the start. The story began in summer 2017, when citizens were informed about the project: the two small-scale production facilities would exploit the waters of the stream that bears the same name of the village, almost draining it for a long stretch. In fact, the Kruščica already gives 70% of its waters to quench the thirst of the nearby towns of Zenica and Vitez. The work could begin immediately, although there had been no public discussion as required by law. After a protest petition that fell on deaf ears, citizens organised a demonstration on the bridge, an obligatory access route to the construction site. But the police intervened with a violence that outraged the inhabitants, further strengthening their attachment to the cause. In this tense scenario, a group of women decided to stand peacefully in the front row. After the clashes, the hydroelectric company tried several times to open the construction site by force despite the opening of a judicial proceeding. The women then organised a permanent garrison, organised on shifts: day and night, summer and winter, until the final victory in court. Meanwhile, support from part of the public and environmental organisations grew. As many as 8 of the hrabre žene ran in the local elections, winning the majority – an even more remarkable result given the traditional male prevalence in politics in the country, which makes them, for some, a model beyond environmental issues . Last December's ruling prescribes to stop construction and finds many irregularities in all the phases of the project. The Kruščica stream, for the moment, is safe. However, for environmentalists this risks to remain an isolated success. Protest actions, although with less media coverage, are underway almost wherever in the country hydroelectric companies obtain a new concession. Since last October 21st, a frenetic series of sit-ins, social campaigns, and petitions has been taking place around the Doljanka river, near Jablanica, where the private company Ekovat is already building two hydroelectric plants. The initiative is sponsored by former basketball star Mirza Teletović. Like in Kruščica, citizens claim that they were not consulted and request a new Environmental Impact Assessment. Despite a petition signed by 95% of the inhabitants of the area and a lawsuit in progress, however, the works go on. By the end of 2019 the power stations could be productive, but the torrent, until now the only tributary of the Neretva still dam-free and part of a natural monument, will disappear for a stretch of over 3 kilometres – the length of the water derivation channels for turbines. Rivers have always been the wealth of Bosnia and Herzegovina as well as its business card: just think of the old bridge over the Neretva in Mostar, or the most famous novel that portrays the country, "The Bridge on the Drina". The name itself, Bosna, is the name of the third river in the country. This is very clear to the thousands of rafting enthusiasts from all over the world that cross the canyons of Una, Vrbas, and Neretva. Yet, even the most spectacular sites are not safe. In March 2018, two power stations were completed a few hundred metres from the karst source of the Sana river (which takes its name from the healing properties attributed to it since ancient times). For 5 MW of production, the equivalent of three small wind turbines, one of the country's naturalistic wonders was compromised. The country's complicated legal status creates legislative gaps that often affect environmental legislation. Republika Srpska has never even established the minimum vital outflow, i.e. the minimum level a watercourse needs for its ecological integrity. The Bosnian Federation has a more articulated legislation, but dated and little respected. Speculation is often around the corner and sometimes, as in the case of Kruščica, construction sites proceed without waiting for assessments and rulings. The status of "green" energy often appears as a pretext in a country that continues to rely mainly on coal, in the absence of an energy plan for the near future. 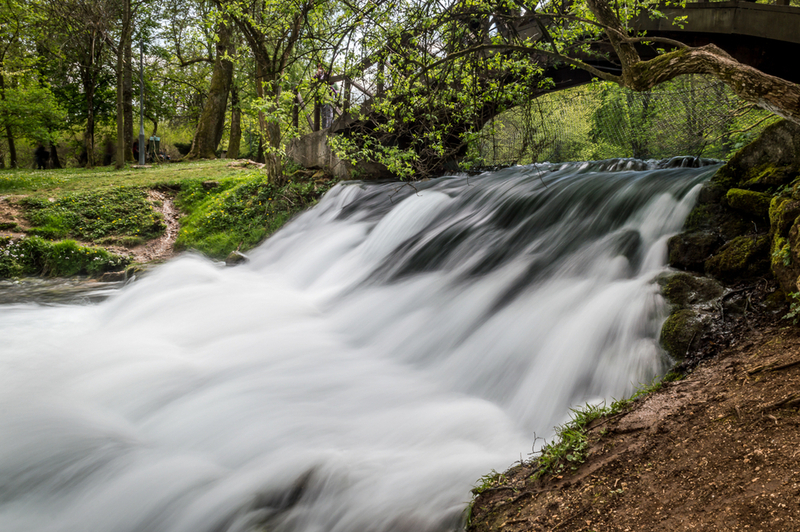 If national politics is rather deaf to environmental issues, it goes a little better at the local level, like in Banja Luka, the second city of the country, which recently decided to give up a 20-metre dam on the Vrbas river. Civil society, sometimes unresponsive, but sometimes capable of unexpected resistance, has organised into a dense network of non-governmental associations and organisations, very active in both awareness-raising and legal terms. In addition to Bosnia, the exploitation of hydroelectric power affects all the Balkan countries, where a total of 2,796 new plants are planned or under construction. In this region we find the continent's last water streams that flow in the natural state, and therefore those most attractive to energy companies. For the most part, the new plants fall into the category of mini- and micro-hydroelectric: smaller than classic dams, they allow to exploit even the smaller torrents, so far spared by energy production. Their construction is generally favoured by generous incentives for renewable energies, which sometimes compensate for their poor economic performance. Renewable status, however, is not always sufficient to decree the sustainability of an energy source: river ecosystems are among the most sensitive ones, and the increasing anthropic pressures have meant that fresh waters throughout the planet have lost 81% of their wildlife in the last 40 years. Despite efforts by the scientific community for truly sustainable hydroelectric energy, the suggested measures are rarely put into practice, especially in the south-east of the European continent, which is also the region where waterways are healthiest. Activists, academics, and civil society of the Balkan countries have undertaken a series of initiatives aimed at coordinating their efforts. In September 2018 the "River meeting" was held in Sarajevo, an international conference that saw the participation of over 250 activists and scholars from 30 countries. Between demonstration actions, petitions, and documentaries, environmentalists have sometimes managed to interfere with works, and have often received the attention of the public. In Serbia, last January 28th over 5,000 people took to the streets against the new plants planned in the country and throughout the region.